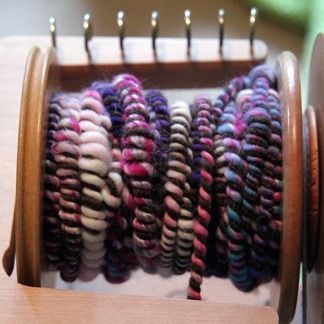 Sign-ups are now open for the Nomlets-of-the-month club. You can choose to receive 3 or 6 minis each month. Some will be standard colors of Nom and others will be spontaneously dyed, limited edition colors. Nomlets are also this month’s sale item: 2 for the price of 1. 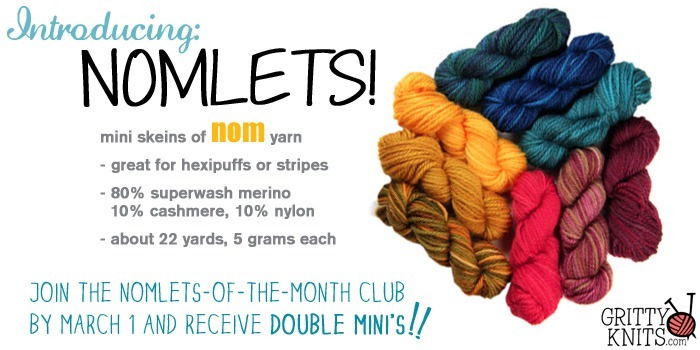 Everyone who joins the club by March 1 will receive double skeins (6 or 12) in their first shipment! As with all my clubs, there’s no time commitment; cancel any time. You’re welcome to take advantage of this offer even if you have no intentions of staying in the club long-term. 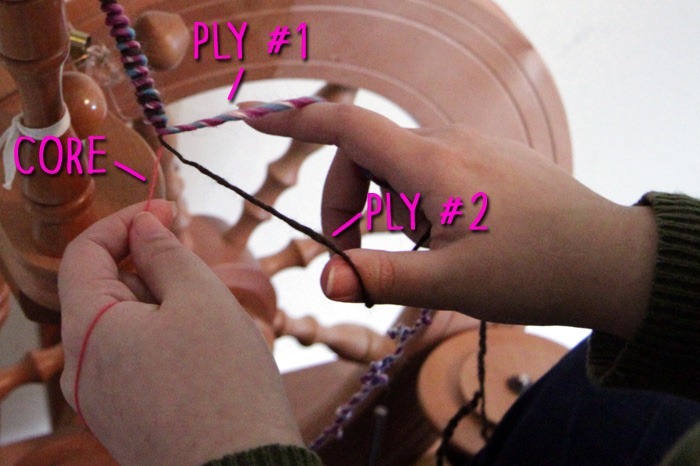 I know there is some discussion in the hexipuffing community about the yardage required for making a puff, whether knitting or crocheting. In my experience, these 22 yards are enough for exactly 1.5 knitted puffs. The leftovers from 2 Nomlets are usually enough for me to stripe together to make a third puff. 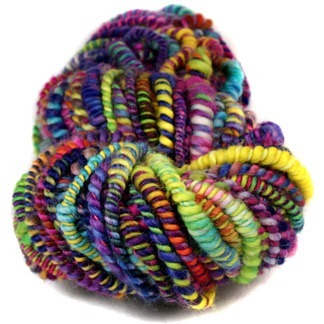 If you are a crocheter with concerns about running out of yarn, send your address to natasha@grittyknits.com and I’ll mail you a sample Nomlet for a test-puff.